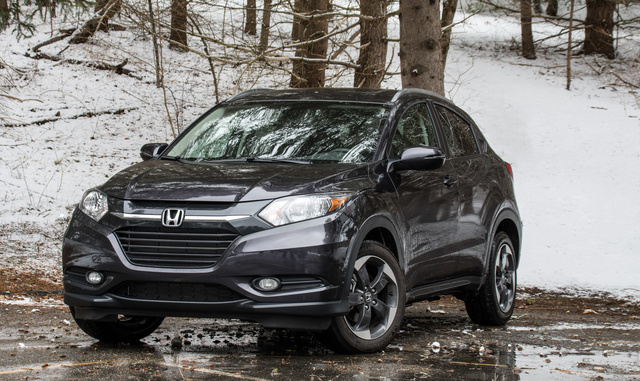 Have you driven a 2018 Honda HR-V? Displaying all 7 2018 Honda HR-V reviews. As a Civic owner previously..found it comfortable and familiar. Cargo Capacity Ranked 2018 Toyota C-HR XLE Premium worse. "More cargo capacity..and with fold up rear seats more versatile." Value Ranked 2018 Toyota C-HR XLE Premium worse. "Awd and cargo capacity...also back up camera much larger view...."
MSRP: $20,520 Invoice:$19,960 Search Honda dealers to find exactly the car you want. I wish there was an all wheel drive package. Big pass! No power for this area. We climbed a small hill getting to the highway. That little engine was dying. Everything else was good though but forget trying to pass anything safely. Compared to the Golf SportWagen (which I purchased) the HR-V is slower, noisier, has poor handling, and feels like a cheap car. The body panels on the HR-V flex with just a little touch and feel very cheap. Back Seats Ranked 2018 Volkswagen Golf SportWagen S 4Motion AWD worse. "There is a little more leg room than in the SportWagen." Value Ranked 2018 Volkswagen Golf SportWagen S 4Motion AWD better. "The entry level S VW has nicer materials (and heated seats) than the entry level LX Honda. The driving experience is WAY different. The Golf is a sporty fun wagon - the HR-V feels like your fathers Buick... VW dealers work with you on price - Honda dealers mistakenly think their products are rare and made of gold and want every penny out of you. Throw in double the warranty on the VW vs the Honda and it was a no brainer. " 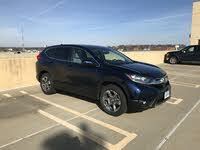 The HR-V EX AWD had the all of the features I was looking for at a great price! Handling Ranked 2018 Toyota C-HR XLE Premium worse. "All-Wheel Drive gives you the feeling of tighter handling and seems more responsive than front wheel drive"
Family Car Ranked 2018 Toyota C-HR XLE Premium worse. "HR-V has more storage space"
This was a nice vehicle, but in my opinion, the 2016 Buick Encore outshines it, hands down. For one, the AC never got as cold as I would prefer, after taking it for a 15-minute+ test drive. The Encore had so many more options and unless you purchase a top end model, you have to use your phone for navigation. Back Seats Ranked 2016 Buick Encore better. "The two-tone leather seats are beautiful and the seats are very comfortable. Also, you can lay the front passenger seat down and have from the front of the vehicle to the rear for a long package or item. The Encore is just very classic in beauty and trim." Would Buy Ranked 2016 Buick Encore better. "I got everything I was looking for in the 2016 Encore, which also still has a CD player. It has so much more equipment on it, is very very stylish and classic and it is a more comfortable ride. " Would Buy Ranked 2015 BMW X1 better. 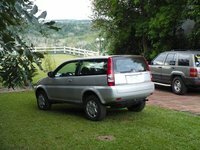 Looking for a Used HR-V in your area? CarGurus has 26,392 nationwide HR-V listings starting at $10,999.